If frizz, knots, humidity, brushing, shampoo, and heat styling tools are some of the things which make you fret, then you probably have thick curly hair. Your hair needs plenty of hydration to control frizz and suitable products to make tangles more manageable. Adequate protection against the elements is imperative otherwise, you will end up with a mane that resembles a bird’s nest. Using a hairbrush does very little to get rid of the knots and only makes the detangling process a more harrowing experience. Shampoo is virtually taboo as it severely dehydrates thick curly hair and takes frizzy hair to a whole new level. Heat styling tools such as blow dryer and flat iron must be used with caution because thick curly hair is vulnerable to heat damage. Despite the seemingly endless list of thick curly hair problems, there is no reason to lose heart. In the following sections, you will come across hair care tips for your enviable thick curly locks. Relax with a cup of coffee and read on to find out how you can turn your problematic hair into a source of pride. People with thick curly hair often seek answers to the following questions regarding their hair. Each issue is tackled individually to make the information clear and meaningful. 1. 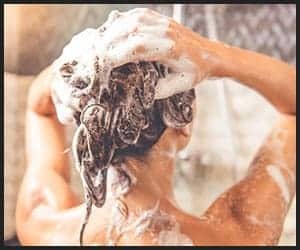 How Often Should I Wash My Hair? 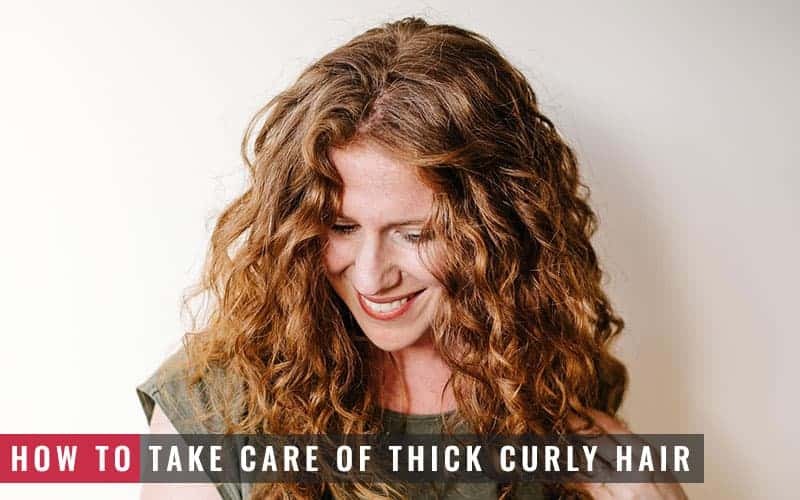 This question may make people with thick curly hair seem lazy and filthy, but it is actually the key to maintaining soft and healthy-looking hair. As counterintuitive as it sounds, it is advisable not to wash your hair every day if you have thick curly hair. You can wash your hair twice a week at most. Not only does it take hours to air dry or blow dry your hair, but washing your hair more than necessary also takes away the moisture from already thirsty hair and makes it more frizzy. 2. Should I Use Shampoo? It is better to avoid it altogether, but if you must use shampoo, then choose one that is free of sulfates. This chemical strips the hair of its natural oils and causes dryness and irritation in the scalp. Baby shampoo is best for thick curly hair because it is mild and contains none of the harsh chemicals found in supermarket brands. Coconut oil-based or olive oil-based shampoo is also highly recommended for the same reason. An alternative to shampoo that will give you your money’s worth is a cleansing conditioner. It can be used every other day to cleanse your hair of grime, dirt, and product buildup without the harshness of shampoo ingredients. 3. Is Conditioner Alone Sufficient for My Hair? Yes. It is important for you to know how and at what point during the shower you should apply conditioner. 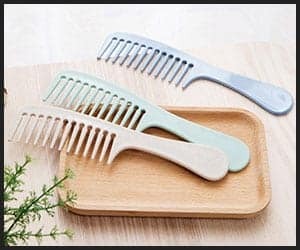 Firstly, there are three types of hair conditioner: instant conditioner which can be rinsed off immediately, leave-in conditioner which, as the name suggests, is left in the hair for 10-20 minutes, and deep conditioner which is left in the hair for 30 minutes or longer and is used occasionally. For people with thick curly hair, leave-in conditioner and deep conditioner are an integral part of their hair care routine. Conditioning, and especially deep conditioning, is the key to keeping thick curly hair hydrated and tangle-free. If you have super dry hair, choose a moisturizing conditioner fortified with glycol, glycerin or oils. If your hair is weak, then you should use a protein conditioner that is enriched with silk amino acids or keratin. 4. Can I Rinse My Hair With Hot Water? Absolutely not. Hot water lifts the cuticle of the hair thus allowing moisture to escape faster from your hair and also impairing its ability to retain it. Thick curly hair is especially susceptible to frizz resulting from a hot water rinse, so you must always rinse your hair with cold water. 5. Is It a Good Idea to Section My Hair During a Wash? Definitely. You should part your hair into 6 sections or more. Cleanse a section at a time with all other sections pinned up. Condition and rinse your hair likewise. Working section by section makes it easier to clean thick curly hair thoroughly and reduces the likelihood of knots at the end of your shower. 6. What Is the Best Way to Towel-dry My Hair? By not using a conventional towel because they cause too much friction in your strands and lead to frizz and hair loss in extreme cases. 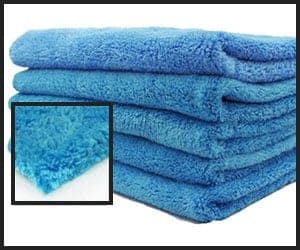 Opt for microfiber towels instead. If these are not available, wrap your thick curly locks with a clean t-shirt for 20 minutes or overnight to absorb all the moisture from your hair. If desired, you can blow dry your hair after this. 7. How Often Should I Blow Dry My Hair? Never. But, this is not sensible advice. You cannot walk into your office early in the morning with a wet head of hair and not expect disapproving looks. Since thick curly hair takes all day to dry, you will have to attend the pre-lunch staff meeting with still wet hair. Why get yourself into such socially awkward situations when you can simply shower the night before? All you have to do in the morning is blow dry your slightly wet hair just a little and you are ready to put your best foot forward. However, there are a few things to bear in mind when using the blow dryer. These points are discussed in the answer to the next question. 8. What Is the Best Way to Blow Dry My Hair? The best way to blow dry thick curly hair is to apply coconut oil to your hair and then blow dry it on a cool setting. If you are pressed for time and need to use the hot setting, then apply a heat protection mousse or cream prior to styling your hair. The heat from hairstyling tools dries out the naturally occurring proteins in the hair and creates frizz. Invest in top quality appliances particularly those with ionic technology and made of tourmaline or ceramic because they have the ability to protect your hair against heat damage. It is also recommended to use a diffuser with your blow dryer because this attachment evenly distributes the blow dryer air and does not ruin the curl pattern of your hair. 9. 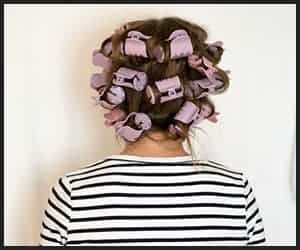 Are Hot Rollers Safe to Use on My Hair? Certainly. To improve your thick curls, hot rollers are far better than a curling iron. Your frizz-prone hair is exposed to less heat from hot rollers compared to a curling iron. Metal rollers with a ceramic coating are perfect for controlling frizz in thick curly hair. Remember to apply a heat protection product each time you use the hot rollers for added protection. Also, make sure your hair is completely dry before you use the hot rollers. 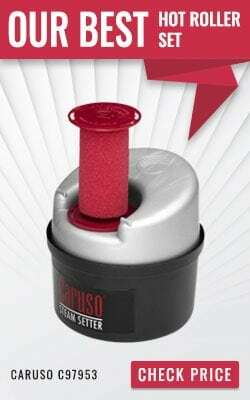 Related Article: Best Hot Rollers For Thick Hair – Buying Guide. 10. How Much Hair Product Is Enough? Too much hair product can lead to a buildup of product residue on your scalp. This will cause scalp irritation and ultimately hair breakage. To avoid steeping your hair in excessive amounts of hair butter or hairspray, read product labels carefully and only use the quantity stated. If you need to use more, increase little by little until you find the optimal quantity for your hair. 11. What Combing Advice Should I Follow? Brushing thick curly hair can add unwanted volume and make it frizzy. For this reason, a wide-toothed comb is your best friend. Comb your hair while it is still damp to avoid knots and split ends. You can also comb conditioner through your hair so it spreads evenly. 12. Which Hair Products Are Best for My Hair? Your hair care arsenal should be composed of baby shampoo or cleansing conditioner, leave-in conditioner, deep conditioner, hair mask, anti-frizz cream, and hair moisturizing cream. Make sure you buy products that are meant for thick curly hair because some products can dehydrate or frizz this hair type. Avoid alcohol-based products for the same reason. Salon-quality brands have little or no alcohol compared to drugstore brands which are high in alcohol content. 13. Which Hairstyles Are Good for My Hair? Shorter hairstyles and layered hairstyles are suitable because they are easier to style, require less manipulation, and give you a more natural look. To keep your hair in good shape, get it trimmed by a hairstylist every 6-8 weeks. Thick curly hair has its fair share of challenges. Taking care of it, however, does not have to be a knotty issue if you pay heed to the advice given above. To sum up, shampoo less, condition often, blow dry with a diffuser, use a wide-toothed comb and moisturizing hair products free of sulfates and alcohol, and opt for shorter and layered hairstyles.